If you have ever seen my blog, you will know of my love for lipsticks. 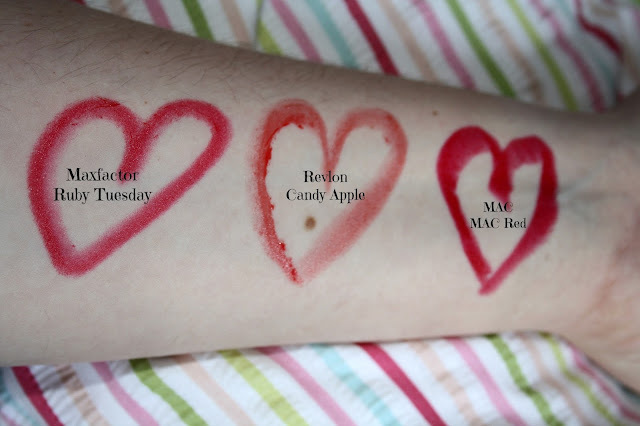 Now this love has been around for many years but since starting my blog this love has turned into an obsession and I am now the proud owner of three narrow muji drawers full of lipsticks as well as a lipstick holder , which is separate, that’s full of 22 MAC Lipsticks, 1 Chanel one and a lip butter…. Yes I do have an obsession. 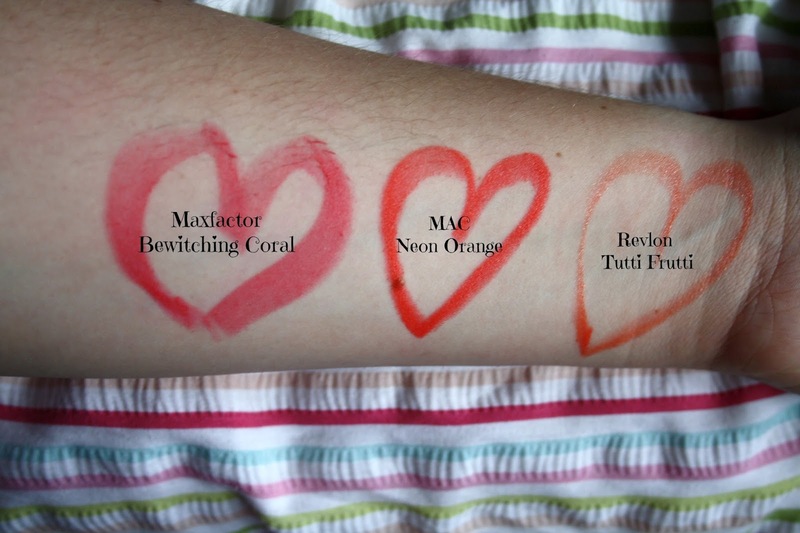 Today I thought I’d talk about three colours which will be appearing on my lips over the next few months whilst we see the sunshine (fingers crossed everyone), along with some snippits of my vast collection for examples. Shall we begin…. Number 1…. Bright Pink. I love a pink lip any time of the year. They are fun and girly to wear and most people rock them brilliantly. However when the sun comes out to play, my lipstick choice usually goes a little brighter and more vibrant. In my eyes, if the sun can be bright….so can I, right? 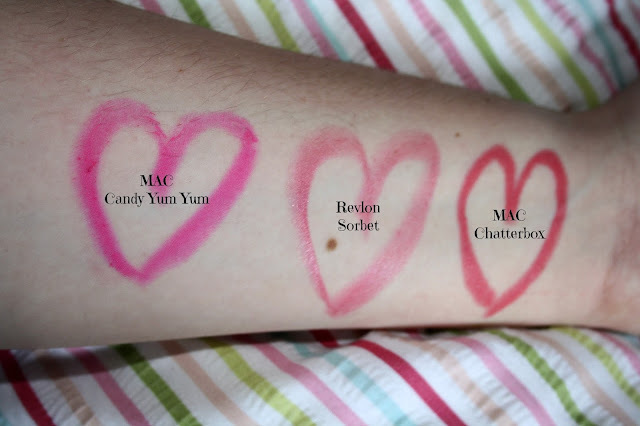 In this category, a few favourites include MAC Candy Yum Yum (the brightest of bright pinks), Revlon Lip Butter in Sorbet and MAC Chatterbox (for those who are frightened of a bright lip). Number 2…. Now this one is a cheat but its two. My second pick(s) are Coral and Orange. If you had told me I was going to say this this time last year I would have laughed in your face. 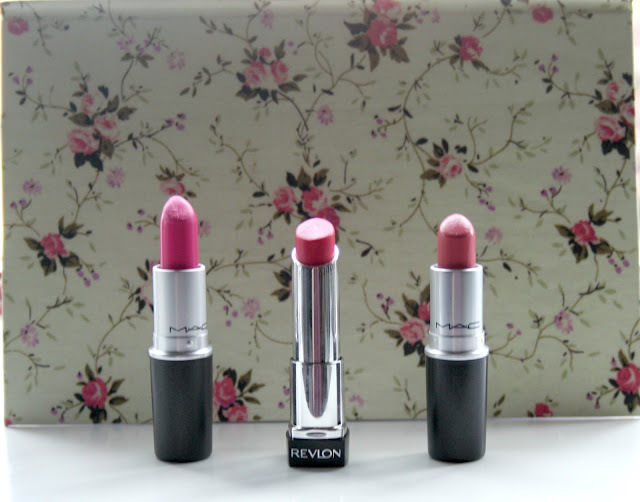 Before I began my blog I stuck to neutral shades, now you can’t hold me back from a crazy lip colour. In this category my picks would probably be… Bewitching Coral from Maxfactor, MAC Neon Orange and Tutti Frutti from Revlon. Number 3…. My last summer colour will have to be Red. I love to rock a Red lip anytime of year. The red lip makes me think like I’ve travelled back in time to the 50s. There is nothing I like better than putting my hair into a scrapped back bun or even rocking the pin curled hair and slapping on a red lip and my big sunglasses and pretending I’m an old Hollywood movie star. My three picks this time are Maxfactor Ruby Tuesday, Revlon Lip Butter in Candy Apple and MAC MAC Red. 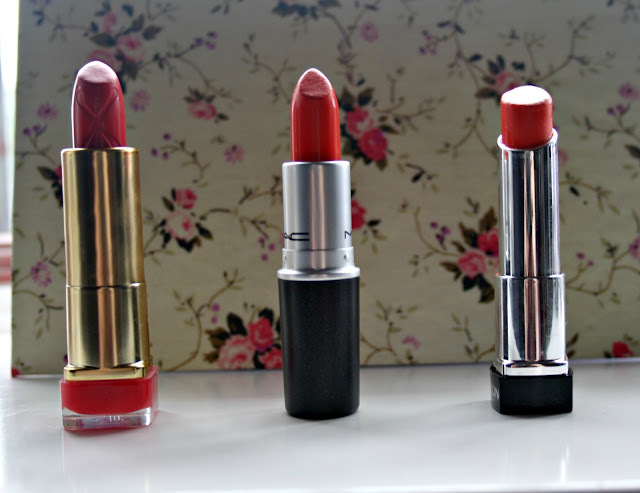 There it is my three lip colour choices for when the sunshine makes an appearance. I think everyone can rock each of these colours its just down to thinking oh what the heck lets try this out for once. 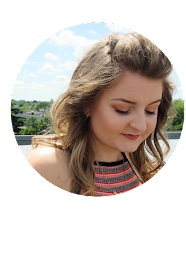 I hope you liked this post, thanks to Amy for asking me to guest post for her and if you ever fancy a lip product chat you can find me on twitter at @abotat90 or at my blog A Bit of This and That.